Do you want to showcase your photography online? With Envira Gallery, you can add a beautiful photo showcase to your photography site. In this guide, we will share how to showcase your photography online with Envira Gallery. WordPress.org is the platform we recommend for creating your photography site. If you don’t already have a photography site, or you aren’t using WordPress, follow this step-by-step guide here to create your WordPress photography site. 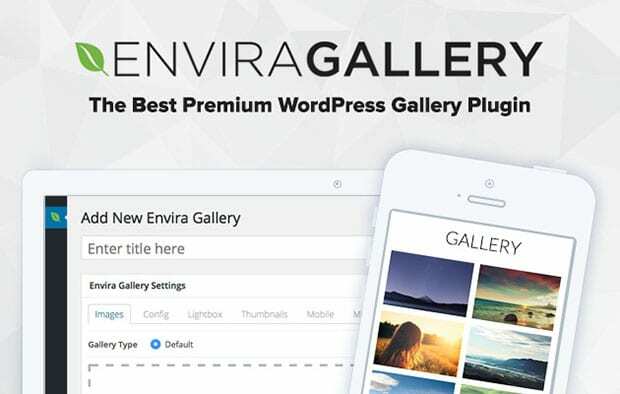 Now that you have a photography site on WordPress, you’ll need to install and activate Envira Gallery WordPress plugin. If you want to learn more about installing the plugin, then check out this guide on how to install Envira. 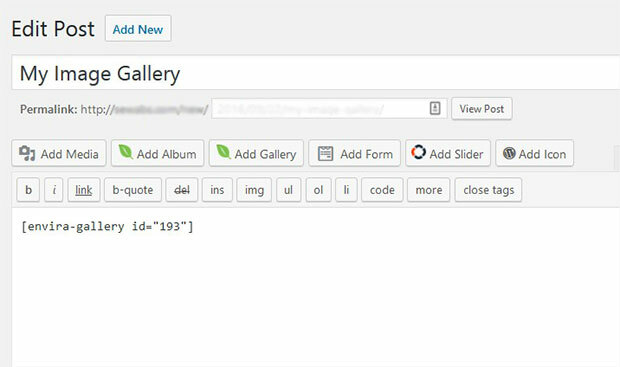 Upon activation of the plugin, go to Envira Gallery » Addons from your WordPress backend. 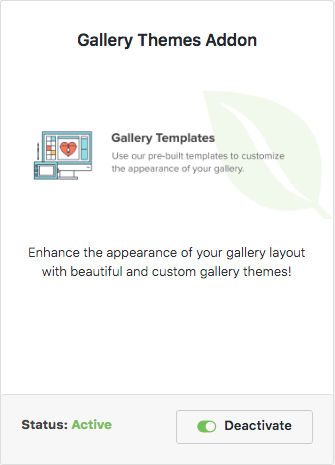 Then install and activate the Gallery Themes Addon. 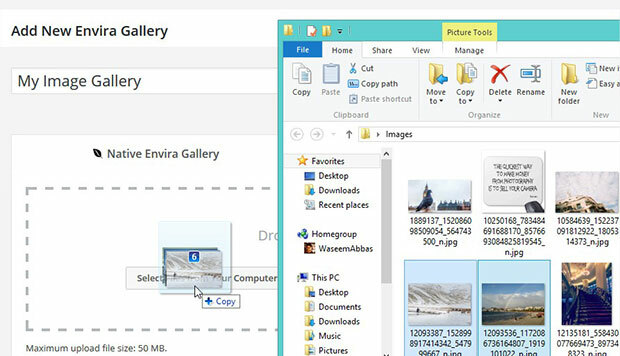 After activating the addon, simply go to Envira Gallery » Add New and add a title to your new image gallery. 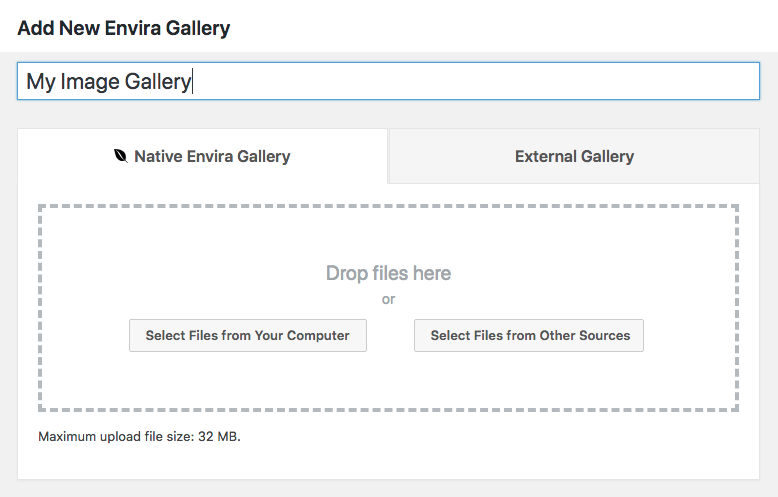 Next, drag and drop your photos into the Native Envira Gallery section. 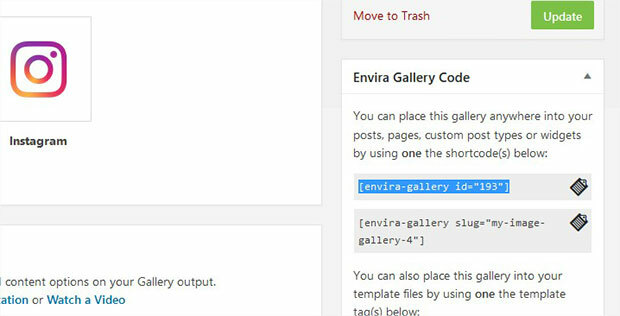 For more details on setting up your first Envira gallery, check out our guide on how to create an image gallery with thumbnails in WordPress. Once you have added your photos, go to the Configuration tab. 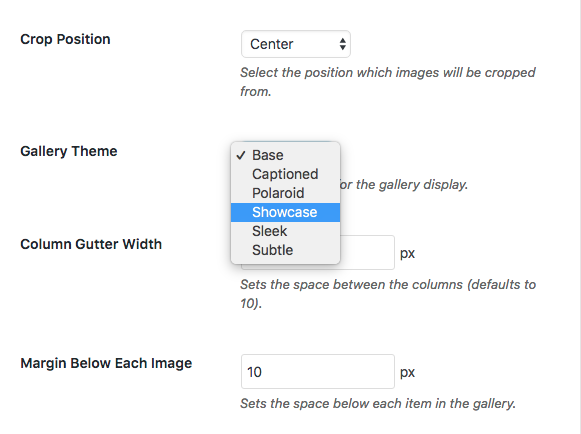 In the Gallery Theme dropdown, you’ll need to select Showcase theme. When you are done choosing the Showcase theme for your WordPress gallery, simply hit the Publish button. You’ll see the shortcode and some other information in the Envira Gallery Code widget. Simply copy this shortcode (you’ll need it to display your showcase in the next step). To display your showcase on your site, you can go to Posts » Add New or edit an existing post. In the visual editor, simply paste the shortcode that you copied in the previous step. Make sure to update the post to save your changes. That’s all. Your showcase will now appear on your site. We hope this guide has helped you to learn how to showcase your photography online. 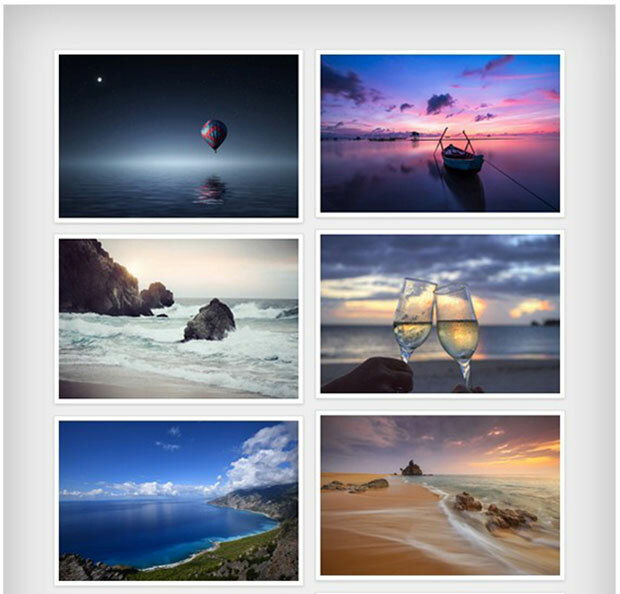 You may also want to check out 57 best free photography themes for WordPress. awesome plugin , thank you for sharing the very informative blog , well done.